Prestige Protective Services, inc. provides quality, reliability and professionalism to all New York areas. We know you have many choices and we also know there is only ONE RIGHT CHOICE and that is with Prestige Protective Services, Inc.
We are waiting for your call or email today. 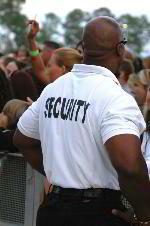 Prestige Protective Services, inc. is an equal opportunity Employer. If you are looking to be more than just a guard then become a Prestige Officer. If you want a career that gives you pride at the end of the day then become a Prestige Officer. Prestige offers flexible work hours, training, great pay and benefits.